We want to thank the many people that have helped and supported us in the creation of Eye Department. This has been an incredibly challenging undertaking and we couldn’t have gotten this far without the help of many many individuals. From lawyers, bankers and accountants to friends, family and marketers, We Thank You all. You have all been so generous with your time, expertise and advice that we are absolutely indebted to you all. 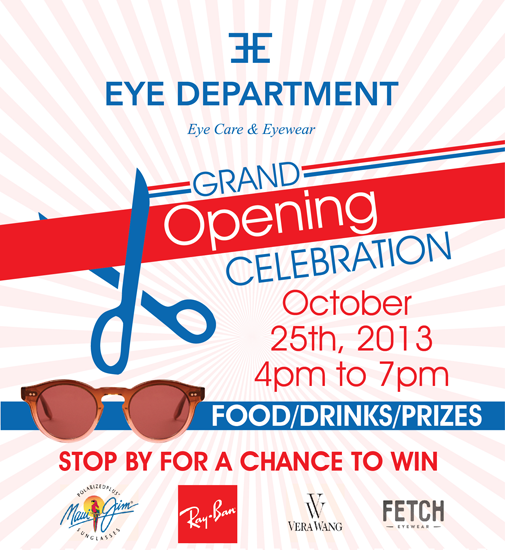 We love where Eye Department has come and are excited for where it will go. Please join us in celebration on October 25th from 4 to 7pm. We look forward to seeing you.